Blue is a magnificent feng shui color. It ranges from gentle sky blue and serene blue-green color of the ocean to the deep indigo blue of the crown chakra. In feng shui, the color blue is considered to bring the energies of calm and peace, as well as an overall sense of relaxation and healing. According to the feng shui theory of 5 elements, blue is an expression of the Water feng shui element. This means there are certain areas in your home that will much benefit from this feng shui element - so you can use blue freely in these areas. This also means that there are some areas in your home where it is best to limit a strong blue color decor scheme. Without making it too complicated, know that feng shui-wise, blue is an excellent choice in two Bagua areas of your home or office. This is the East (Health & Family) bag and the Southeast (Wealth & Abundance) bag because the Water energy of the blue color nourishes the Wood element of these two feng shui areas. 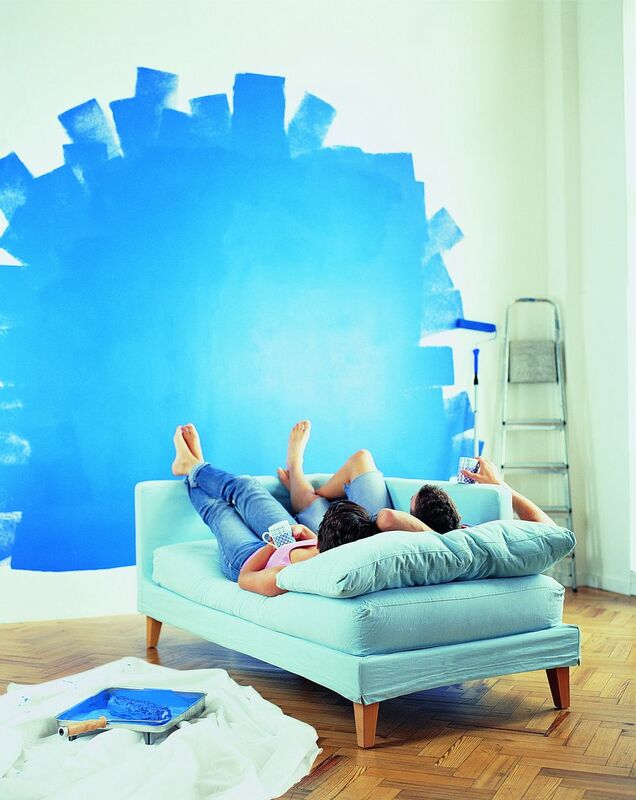 You can bring the needed blue color energy as wall color, art depicting blue, or various decor items. The gentle blue color is an excellent feng shui choice for a home office or a child's study, especially as a ceiling color. Several studies have shown that children performed better under the blue-colored ceiling then under the typical white color one. This makes perfect sense, doesn't it, as a light blue color ceiling resembles the open energy of the sky! Light blue is considered the feng shui color of harmonious expansion and gentle growth, while darker blue evokes the feng shui energy of deep calm, wisdom, and serenity. Depending on your feng shui priorities, you might want to introduce some deep blue elements into your bedroom to promote better sleep or a gentle, playful aqua in the living room of a big and busy family. However, keep in mind that an all-blue color bedroom - contrary to what you might read in some online resources - is not good feng shui. What's the Best Way to Use the Color Orange?